Travis Knight rules! He is an inspiration to artists and animators worldwide, besides being an inspiration to us regular folks too. Fortunate enough to attend the exclusive press and interview event, I was in awe listening to him share with us his experiences and motivation to create the new summer hit, KUBO and the Two Strings. 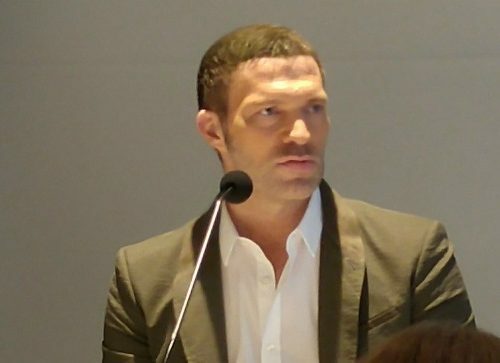 Travis Knight is an accomplished animator who has worked in the entertainment business for over 20 years. When he had children everything changed for him, especially his outlook on how he devoted his art to the world. With this new sense of purpose LAIKA Studios was born, and Travis is the President, CEO, Director and Producer of the all amazing animated films the studio creates. Travis shared, “I wanted to make art that was meaningful, that had resonance, that, you know, had an uncynical view of the world, that offered a hopeful view of the world. And so that was really the impetus for Laika”. Travis Knight grew up on the side of a mountain about 15 miles from the nearest town. He would spend days exploring the woods around his home, climbing trees and immersing in nature. Being creative, playing music, drawing, writing stories also filled up his universe but in his own words admitted, “when I wasn’t doing that (creative stuff) my whole life revolved around my mom. She was my closest friend in the world”. He used his relationship with his mom to mirror, in many ways, the relationship KUBO had with his mother. Kubo and the Two Strings is an epic action-adventure set in a fantastical Japan from acclaimed animation studio LAIKA. Clever, kindhearted Kubo (voiced by Art Parkinson of “Game of Thrones”) ekes out a humble living, telling stories to the people of his seaside town including Hosato (George Takei), Hashi (Cary-Hiroyuki Tagawa), and Kameyo (Academy Award nominee Brenda Vaccaro). But his relatively quiet existence is shattered when he accidentally summons a spirit from his past which storms down from the heavens to enforce an age-old vendetta. Now on the run,Kubo joins forces with Monkey (Academy Award winner Charlize Theron) and Beetle (Academy Award winner Matthew McConaughey), and sets out on a thrilling quest to save his family and solve the mystery of his fallen father, the greatest samurai warrior the world has ever known. With the help of his shamisen – a magical musical instrument – Kubo must battle gods and monsters, including the vengeful Moon King (Academy Award nominee Ralph Fiennes) and the evil twin Sisters (Academy Award nominee Rooney Mara), to unlock the secret of his legacy, reunite his family, and fulfill his heroic destiny. Kubo and the Two Strings is in theaters now.